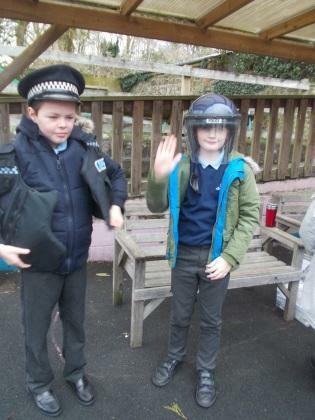 Early in the term, we had a visit from our local police officers, they set up in the playground at lunchtime and the children had the chance to try on jackets, helmets and hats, talk to the officers and received stickers, colouring sheets and then had fingerprints taken. 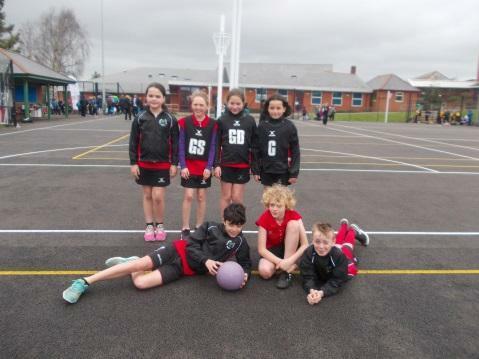 Due to the success of the netball team, being unbeaten in the Holsworthy league, they were invited to take part in the North Devon High Five finals at Park School in Barnstaple on Tuesday representing the Holsworthy area. It was a busy day with matches in the morning and afternoon, fortunately the rain held off. They played fantastically, showing great skills and sportsmanship, they came third in their group which put them in the play off, they won this match which meant the team finished the day 5th overall. 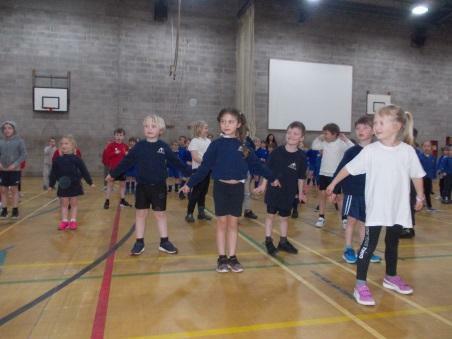 Both classes had great fun at Dance Festivals with other schools in the Holsworthy area where they enjoyed learning Street dancing. Bikeability came into school to work with children in years 5 and 6, teaching them about bicycle maintenance, road safety and cycling proficiency. 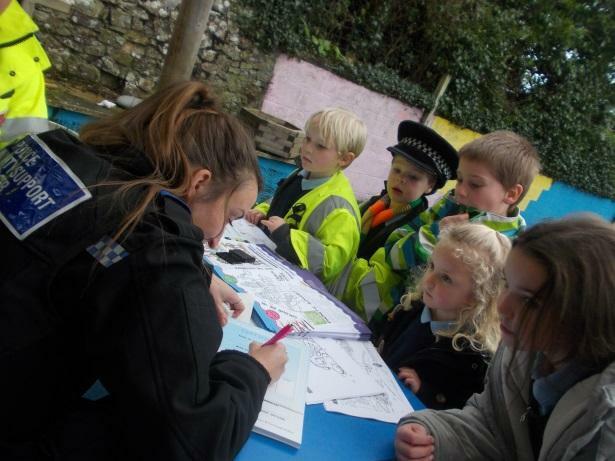 The children enjoyed a multi – cultural day, including a specialist visitor - Daya. 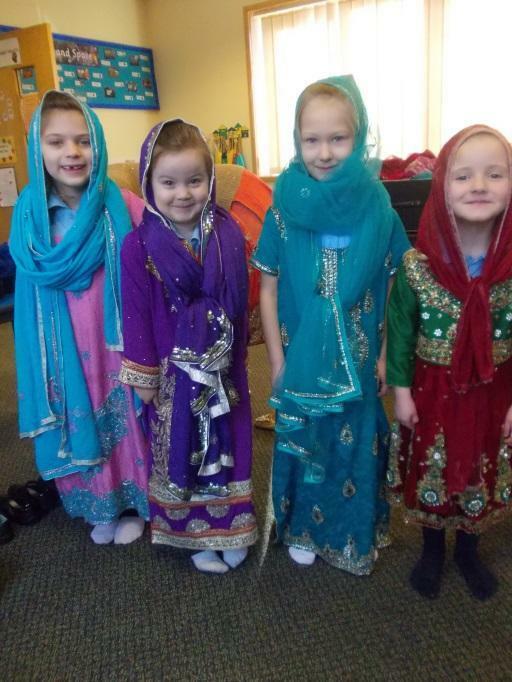 They had the opportunity to learn about Hinduism and Sikhism, enjoyed dressing up in traditional clothing and cooking and tasting chibbatis. We were lucky to have another visit from Pete and Wonderstruck, this time learning about hovercrafts. We would like to thank the PTFA for funding this, the children had a fantastic time, making and then testing out hovercrafts. 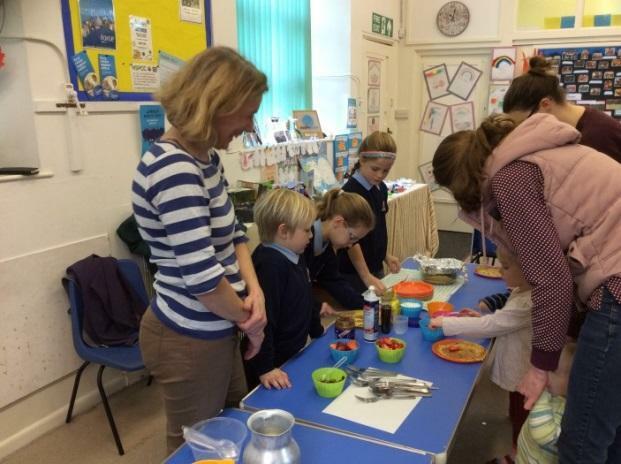 Thank you also to the PTFA for the lovely coffee morning on Shrove Tuesday with pancakes! Over £65 was raised for the chosen charity this year, Bramble Ward in the Royal Devon and Exeter Hospital. Recently, the children in year 6 travelled to Bridgerule School to take part in another writing day where they wrote ghost stories, they then went back to Bridgerule school as it got dark and read out their stories around a campfire. As the term draws to a close we are looking forward to a whole benefice Easter Service on Wednesday April 3rd at St Mary’s Church at 9:30am, all welcome.